Below is the text of the flyer for George Xu's latest public offerings in San Francisco. It's poetry, of a sort. The first time I met George was around 1990. My first teacher, Bing Gong was making a formal introduction on my behalf. George was briefly delighted and then went into a wild rant about how everyone was doing Tofu Tai Chi. He proceeded to define and contrast Tofu Tai Chi with the other cosmological possibilities and then began demonstrating maximum spring shaking power as the antidote to all this squishy food practice. I was hooked. In case you are wondering, "dirty power" is anything generated from a body which does not conform to the principle of "Dead physical body" --Also known as XU, which was the topic of my last post. 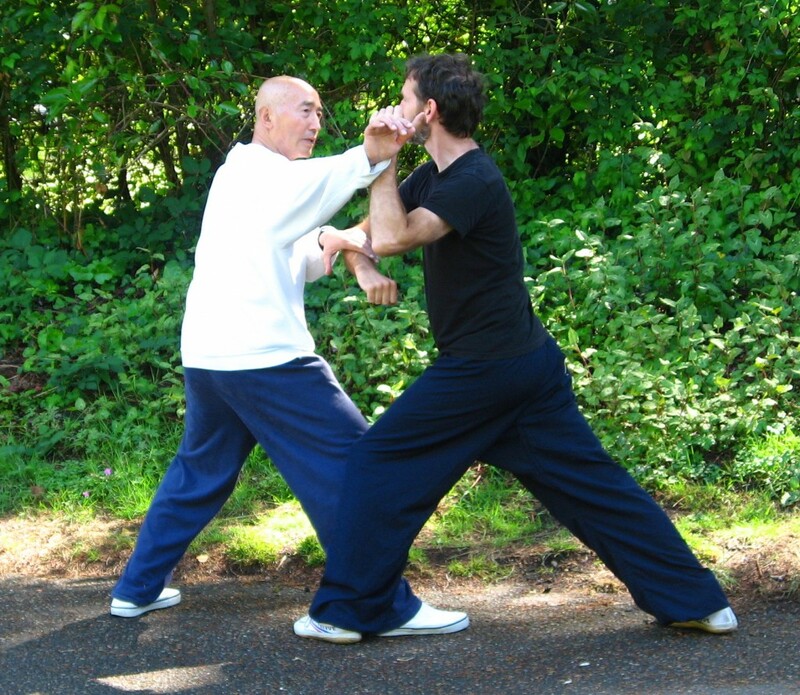 Seminar 1: Master George Xu will teach Chen Style Tai Ji , secret of max gravity, 3rd level of internal power, pure and large internal power, form and Tai Ji push hand principles, and Wu Tang Qi Kung. Unit empty pure force will defeat all dirty power force and weak force. Seminar 2: Master George Xu will teach Xing-Yi Six Harmony - Ten Animals, Xing-Yi 10 principles, 10 different circles, Seventh Harmony to the enemy and Eighth Harmony to the universe, 3 level of 10 Dan Tian training (small internal, large internal, space spiritual Dan Tian), and Qi Kung training. Seminar 3: Master George Xu will teach Ba Gua basics and dragon eagle form, Ba Gua snake, dragon, tornado, three different power, Ba Gua principles and usage. Dead physical body follow intelligence internal power and pure internal power follow space spiritual power. Seminar 4: Master George Xu will teach new secret from Europe, Tai Chi form and principles, two men training, test your internal power perfection, intelligence and purity. Tai Ho of Tai Chi, Natural style secrets. Teach you to be as powerful and wild as tiger, fast as lighting, large like ocean, spiral as tornado, heavy as mountain, light as feather at the same time. Also: Rory Miller will be in the San Francisco Bay Area again Feb. 18th-20th. Check it out!